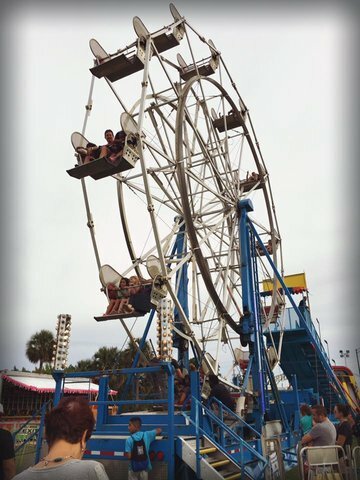 This beautiful 50 foot Eli Wheel is the star attraction at every festival! It’s vintage buckets seat 2 to 3 people comfortably. At night, the ferris wheel is lit up beautifully creating a blue star that can be seen miles away. It can be rented privately for parties or for festivals.